Thanksgiving is a special time of year for families all around the U.S. It’s a chance to show your appreciation and love for your family and enjoy one another’s company at the dinner table. Given how busy our lives can get, finding a time to eat a meal with your family isn’t always easy, which is part of what makes Thanksgiving so unique! After the meal, many families like to enjoy football, while some members even fall asleep! If you have young ones, though, they likely still have a lot of energy to let loose, making it hard to entertain them when you’re ready to sit back and relax with your extended family. 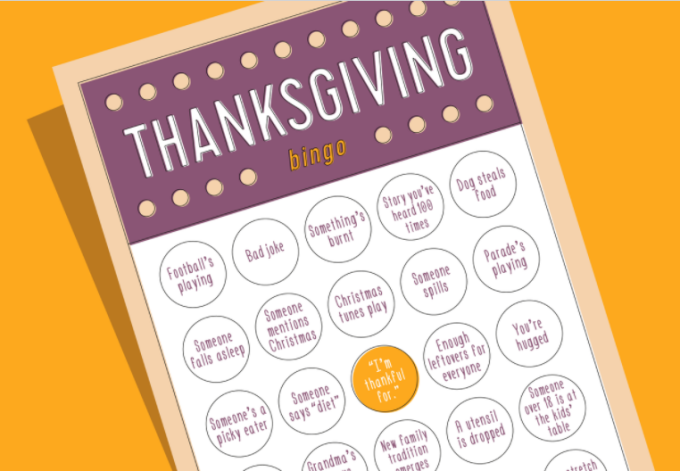 To help keep the younger kids occupied, why not break out a game of bingo? This game not only helps kids still learning to read, but is a great way to engage with the little ones yourself! 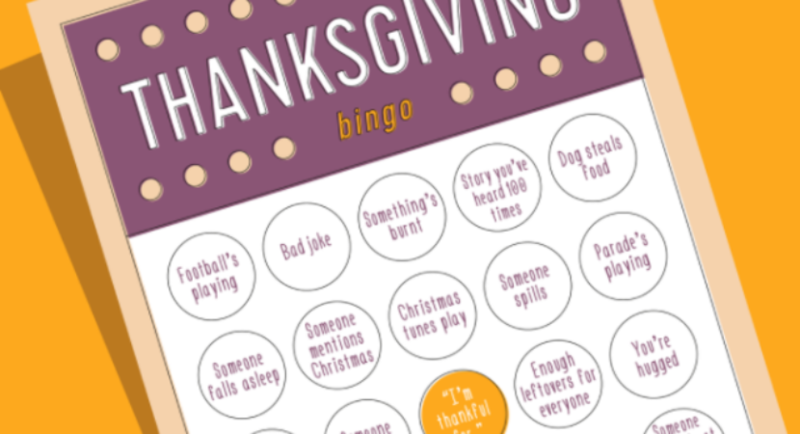 Plus, you can even do this game before the Thanksgiving meal to keep everyone entertained. 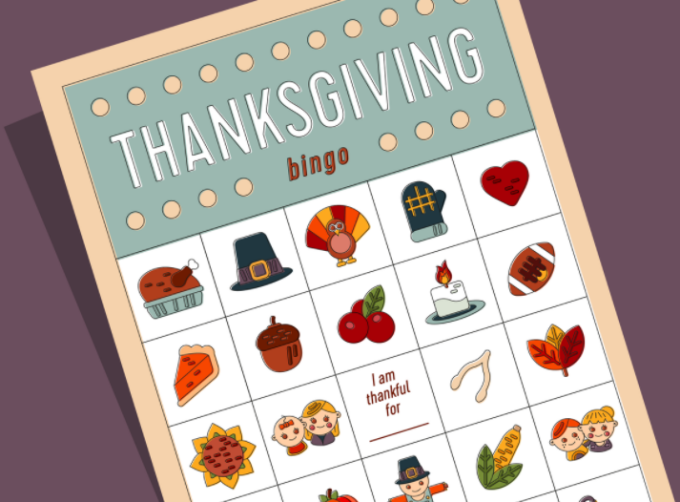 For a seasonal twist, break out these little kids Thanksgiving bingo cards from Gifts.com. First, print out the bingo cards and the associated calling cards. If you plan to reuse them, you can laminate them, but otherwise just printing them out will do. Then, hand out the bingo cards to the kids. An adult or older kid will mix up the calling cards in a hat or bowl and call them. For marking the bingo cards, you can use candy, coins, or a marker or pencil if you don’t plan on reusing the cards. Before you begin calling out cards, go around and ask the kids what they’re thankful for before letting them fill in the blank space. Then, you may go ahead and start calling out the different cards. You can either call out the cards or show a picture of them to the kids, whatever you feel is a bigger challenge for them and helps them learn. Whenever someone has five in a row, be it horizontally, vertically, or diagonally, make sure they call out bingo and then give them a mini prize! This can be something as simple as being the first person to pick out a slice of pie or getting to be the new person doing the calling card next turn. Just don’t make the prize too big—you don’t want any fights on Thanksgiving. If this bingo card gets to be too easy, you can move on to the older kids bingo card as well, which has words on it to help those who are learning to read. Or, if the adults want some fun of their own, they can break out the adult bingo cards. Unlike the other two, which work with calling cards, the adult bingo is more of a challenge. Starting before the dinner, everyone will be given their bingo cards. Instead of listening for their card though, the adults will have to observe their surroundings and mark off their card as they see things happen. Some of them include “someone over 18 sits at the kid’s table” and “story you’ve heard 100 times,” making it a fun way to poke fun at the family and get a few laughs in. Whatever card suits your family, be sure to have fun. What makes bingo so great is how casual it is, making it easy enjoy one another’s company while playing a game that involves the whole family. And the great news? 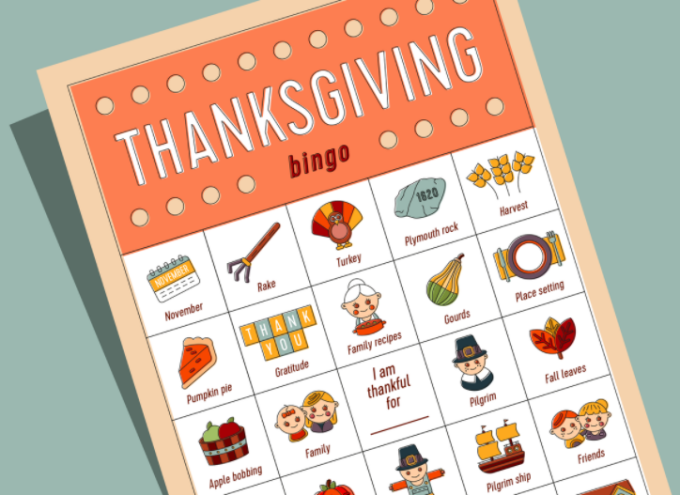 This is a tradition you can continue for many years to come so that every time Thanksgiving rolls around you all are ready to break out the bingo again!